For the curly haired beauty’s out there, your prayers have been answered by the King of Curls himself; Christo. The King of Curls adopts a revolutionary diametrix cut and style technique to tame those wild curls. His philosophy centers on healthy, gorgeous hair and his luxurious line of Curlisto products targets first and foremost on nourishing hair with ingredients that specifically remedy curly hair challenges. Christo works closely with top designers for major fashion events, including New York and San Francisco Fashion Week, the Latin Grammy and Billboard Awards, Tribeca Film Festival, and the Sundance Film Festival, just to name a few. Renowned for his unique Diametrix cutting technique and Curlisto styling method, an approach which sharply cuts into the curls, to make it more compliant to sculpt and shape, which in the end will maximize hair texture, face shape and personal style. He received great reputation as an educator on his “The Art of Curly Hair” for years in teaching classes at the International Beauty Show, New York, Las Vegas, and Orlando Premier Show. Situated on 5th Ave, Christo’s hair salon is a luxurious oasis, fitted with gorgeous furnishings, chandeliers and boutique styled mirrors. The hard wood floors, and large windows, makes the place light and airy, just the way we like our curls. Just some of the services you can enjoy here include styling, coloring, special treatments, signature treatments and more. With summer humidity, weather plays a big part in our good and bad hair days. Whether you have curly, straight, colored, short, or long tresses here are some of our top picks to keep your most prized accessory looking glorious every day. There are so many reasons to visit the Upper East Side, whether it is jogging around Central Park, indulging in gourmet brunches, admiring some of the most attractive pre-war buildings or strolling down museum mile for some art inspiration. This is where all the young, charismatic souls come to play and now there is an even better reason to visit. 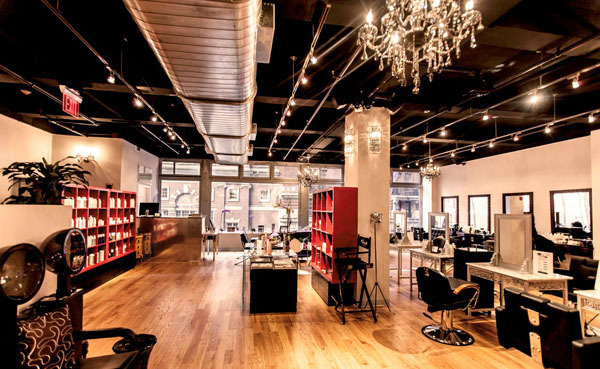 Matii Salon is a chic and sleek salon, offering guests a new perception of life through their artistry of hairdressing. 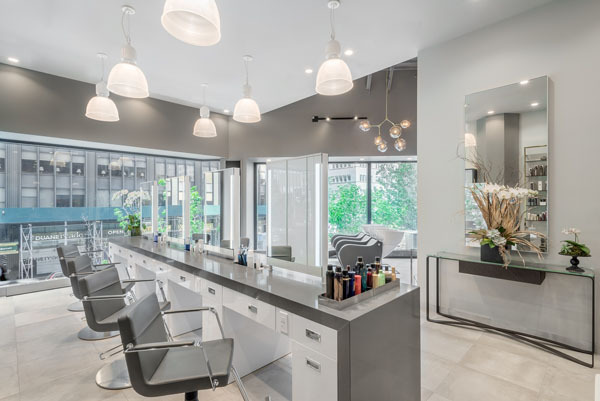 Situated between and around a bundle of shops focusing on health and beauty, you will find the dazzling salon, on the mezzanine level of 875 Third Avenue. The floor to ceiling windows allow for ample light to brighten this chic oasis, offering a calm atmosphere with grey and white tones, which bounce off each other glimmering with luxury and style. Owner and master colorist and stylist, Bernhard Ziverts has been in the hair industry for over 30 years he brings a great wisdom of hair trends and skills in hairdressing. The dry haircut technique and understanding the diverse color palettes and distinct hair textures are just some of the things that make Ziverts an expert in providing only the best service for guests at his salon. With services for both men and women, Matii salon is the one stop shop for all your hair care needs. Some of the services offered are men’s cut, color, texture services, treatments, styling and specialty services. Step out in confidence knowing you look fabulous with your new hairstyle this summer.